Nice costumes, explosions, and action sequences, but we hope there is a good story to go with it. No Iron Man 2 repeat (please!). Based on the cast and this preview, the story appears that it may follow the Iron Man: Extremis storyline from the 2005-2006 “Extremis” six-issue series (since reprinted in a hardcover edition), written by Warren Ellis. In that story, Dr. Aldritch Killian, played in Iron Man 3 by Guy Pearce, releases a supersoldier nanotechnology serum. His co-worker, Maya Hansen, played in Iron Man 3 by Rebecca Hall (The Prestige, Frost/Nixon), contacts old flame Tony Stark for assistance. Classic genre actor William Sadler (Wonderfalls, White Collar, Star Trek; Deep Space Nine, Die Hard 2, Shawshank Redemption, The Green Mile) plays an old friend and teacher to Maya named Sal Kennedy. The key villain in the comic book story is The Mandarin, played by Academy Award winning actor Ben Kingsley (Dave, Sneakers, Schindler’s List) in Iron Man 3, a baddie who wants to unleash the virus solution on the world. The characters all are the same, so we’d expect the story to be as well. Don Cheadle, Jon Favreau, the voice of Paul Bettany, and likely the great Stan Lee himself will be back to reprise their roles from the past films, too. The strange voiceover of the villain in this trailer sounds a lot like Heath Ledger’s Joker, which I find a little creepy. It’s interesting that Academy Award winning actress Gwyneth Paltrow is returning again as Pepper Potts, this time apparently in a bigger role. 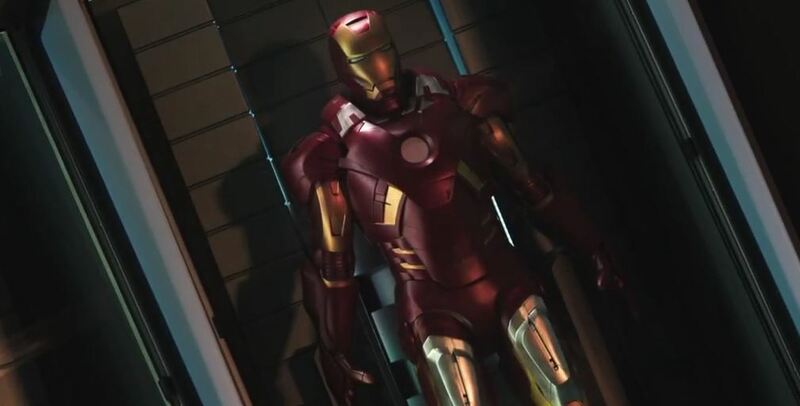 Iron Man 3 is scheduled to hit theaters in April 2013.